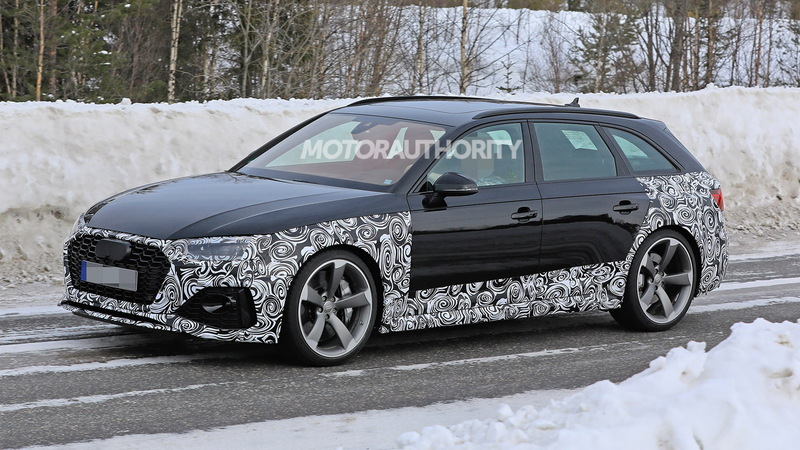 Audi's A4 just received some minor tweaks for 2019 but a more substantial update is on the way for the car's mid-cycle refresh, as evidenced by the recent sighting of prototypes. 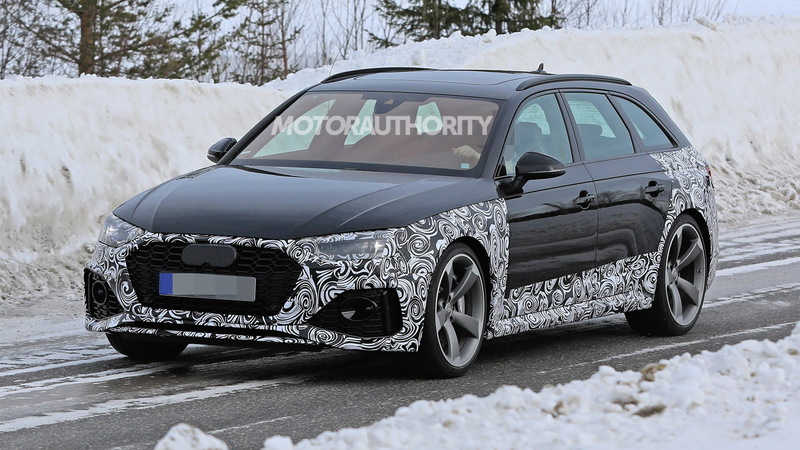 Now a new prototype has been spotted, and this one is for the high-performance RS 4, which unfortunately Audi only offers in Avant wagon guise. That means it isn't bound for the United States, as Audi isn't too keen on wagons here, though the situation may change in the future. 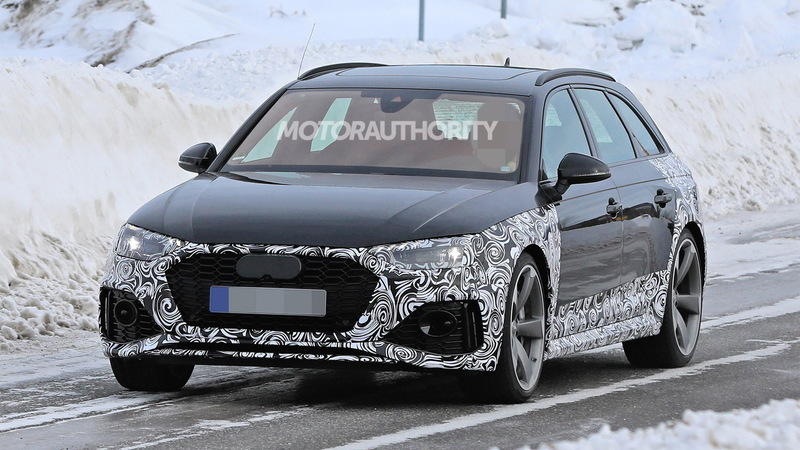 Even without the updated RS 4 Avant headed here, the prototype hints at changes that should feature on the related RS 5 range that we do receive. 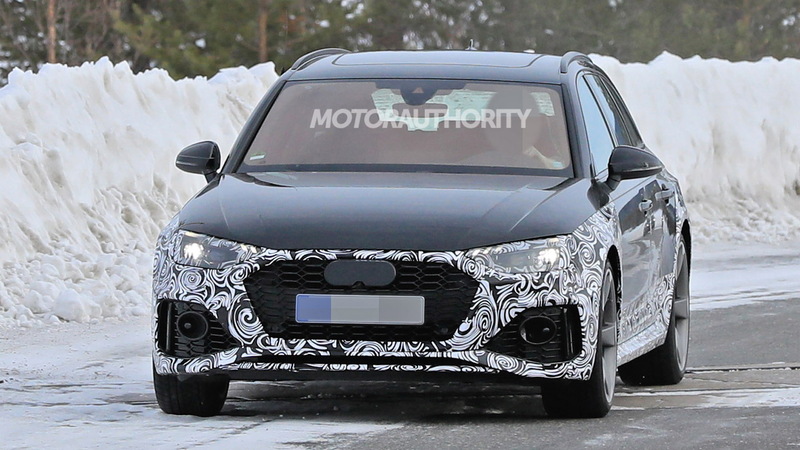 The headlights are new and no longer feature the teardrop element of the current RS 4 headlights, while the front grille is also wider and lower than on the current model. The changes at the rear are much more subtle and consist of a new light signature for the taillights and a slight refresh of the rear fascia. There's no clear shot of the cabin but inside, the dashboard might be redesigned so that the infotainment screen is integrated with the center stack instead of tacked on top of the dash like in the current A4 family. We might also see the controls for the climate settings switch from physical knobs to a touchscreen interface like in the A6 and A8, though physical controls could remain if Audi goes with a design similar to the one used in the A1 Sportback. Power in the current RS 4 comes from a 2.9-liter turbocharged V-6 making 450 horsepower and 442 pound-feet of torque. The engine is mated to an 8-speed automatic transmission and rear-biased all-wheel-drive system. The same mechanical package should feature in the updated RS 4, possibly with a few extra horses thrown in. While the updated RS 4 isn't coming here, the updated A4 will likely arrive for the 2021 model year. A debut could happen in late 2019 or early next year.